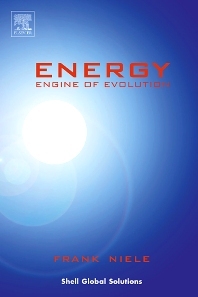 Energy: Engine of Evolution describes the importance of energy in the evolution of nature and culture on Earth. The book presents a compact history of energy for the creation of a sound basis for understanding the possible futures of the energy industry. It also brings a fresh element into the discussion on sustainable development. This scientific monograph consists of two parts. Part I is composed of five chapters with details on the history of planet Earth along the tracks left by energy. These five chapters correspond with the five successive energy revolutions. Energy revolution marks the boundaries between energy periods, and an energy period is characterized by an ecologically dominant energy regime. Part II is comprised of two chapters and an appendix. The first chapter describes a model called ""Staircase of Energy Regimes"" for the role of energy in the evolution of life. The second chapter then applies the Staircase model in exploring the pathways to a more sustainable future. This book will be of value to anyone interested in a ""sustainable future of system Earth"".